Hurricane Irma may be getting most of the headlines right now, but it’s sharing the Atlantic with Tropical Storm Jose and newly formed Tropical Storm Katia, too. Hurricane Irma formed late last week in the middle of the Atlantic, and Tropical Storm Jose formed earlier this week not far behind Irma. And finally, Tropical Storm Katia formed in the Gulf of Mexico this morning. 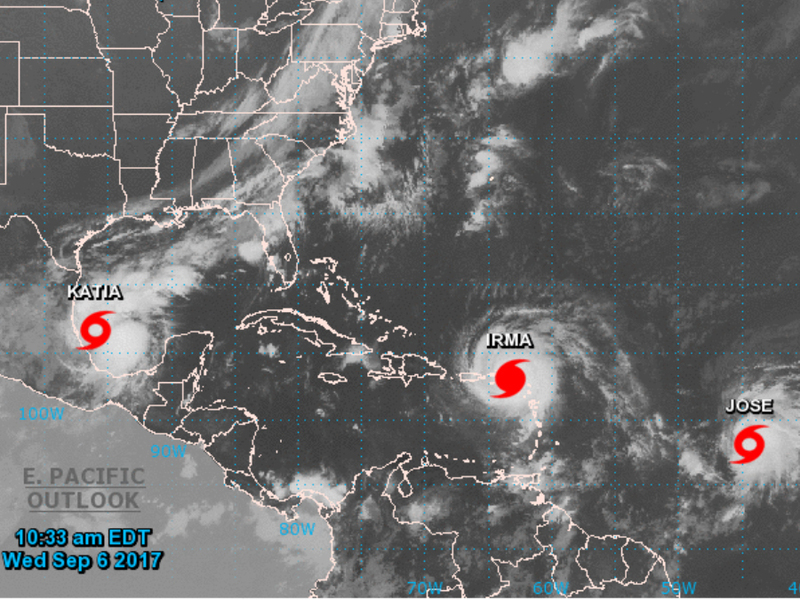 During peak hurricane season — right now — it’s not at all uncommon to see one, two, or in this case, three tropical storms and hurricanes in the Atlantic. During late August and into September, Atlantic Ocean waters are at their warmest compared to any other time of the year. These warm ocean waters help to feed and grow tropical storms and hurricanes. This same phenomenon happened as recently as last year when Tropical Storms Ian, Julia and Karl all occupied the Atlantic. 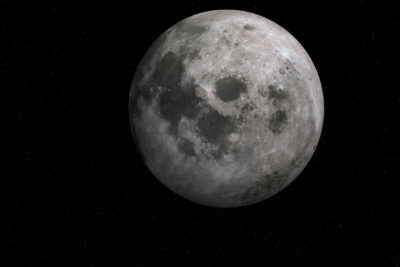 In late August and early September of 1995, the Atlantic was home to five different tropical systems at one point — Humberto, Iris, Jerry and tropical waves that later formed into Karen and Luis. 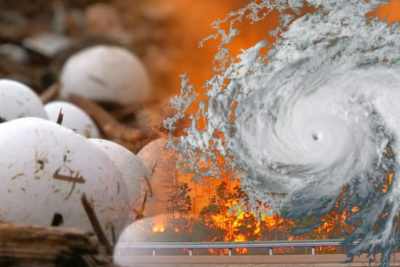 Sometimes, these hurricanes can bump into one another, altering their courses or absorbing one another all together. As for the three storms currently occupying the Atlantic and Gulf of Mexico, all three are expected to take very different paths. Irma will likely make landfall in Florida or somewhere in the southeast United States by the end of the weekend after carving a path through the Caribbean this week. Tropical Storm Jose will likely become a hurricane before the end of the week, but it’s most likely to stay in the middle of the Atlantic, far from land. And Tropical Storm Katia will remain a tropical storm before it makes landfall in Central Mexico at the start of the weekend. 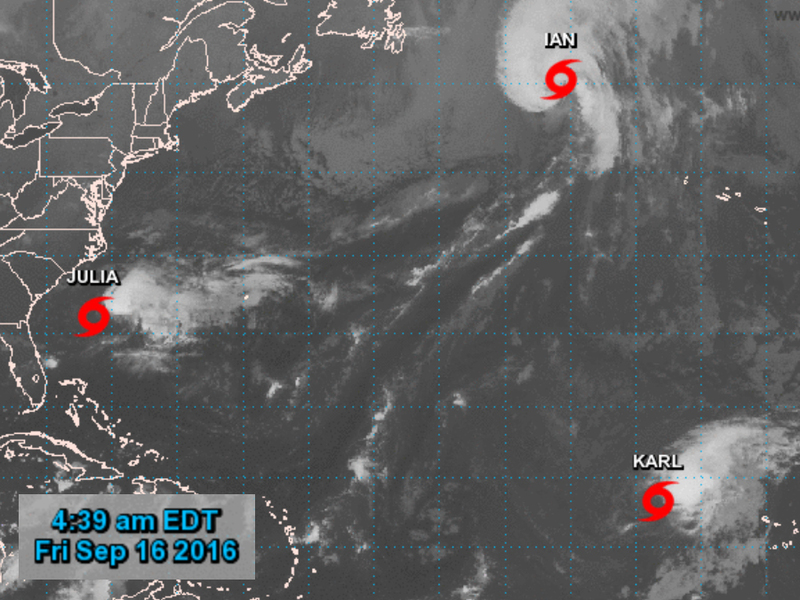 All three of these storms are a sign it’s peak hurricane season. 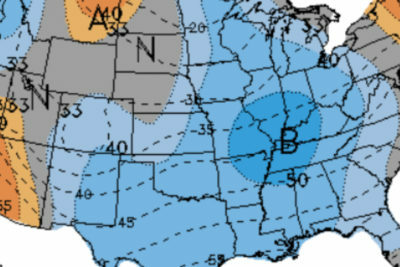 The good news is hurricane formation usually starts to slow a bit near the end of September. The bad news is hurricane season isn’t officially over until the end of November.